Many of you might have heard the name Susan Moldow but who is she? Well, she is King’s publisher at Simon & Schuster and I got to talk to her about what it’s like to be the publisher for one of the biggest living authors. Here is what she had to say. Lilja: For those of us that don’t know, can you tell me a little bit about what a publisher do? Susan Moldow: In book publishing (it’s different in magazines) the publisher makes sure that all the pieces work together—acquisition, editorial, production, publicity, art, promotion and advertising and sales. Primarily, the publisher prioritizes—or tries to—for the list. Lilja: How does one become a publisher? Susan Moldow: There are many routes to becoming a publisher. I started in editorial but among my publisher colleagues at Simon & Schuster, one began at a literary agency, one began in journalism, and one began as part of a mass market sales organization. One even began in Australia. Anything can happen. Lilja: If I’ve understood it correct you have also been the editor of The Girl Who Loved Tom Gordon and On Writing. Can you tell me how that happened? Susan Moldow: I definitely was the solo editor for The Girl Who Loved Tom Gordon. It’s a short novel and with is baseball theme, it cried out to be published in the spring (Stephen King’s big novels are generally Fall publications). Chuck Verrill, the person who has most often been Stephen King’s editor for many years, couldn’t work to that schedule and since the book was nearly perfect in draft I felt no fear about stepping in. Lilja: Can you take me through the process of edit a book? 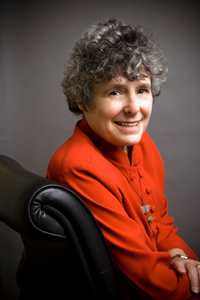 Susan Moldow: Book editing is a process about which one makes generalizations at great risk. Lilja: Being a publisher means a lot of planning right? How long before a book is published do you start planning for it? Susan Moldow: Under ideal circumstances the book publishing process begins about 12 to 14 months in advance, although books are often acquired from proposals and may take years to be delivered. But with modern technology, it is not uncommon for books to be written and published much faster than that. When Stephen King and Stewart O’Nan decided to chronicle their view of the 2004 Boston Red Sox Baseball season in Faithful, we assumed we would publish in Spring for the opening of the 2005 Baseball season. But when the Sox won the World Series for the first time in eighty-six years that season (at the end of October), we were able to have the book on sale by the third week of November. So while a publisher does indeed try to plan, market conditions sometimes demand that the plans be thrown out. So really it’s planning for the unplannable. Lilja: Can you take me through the process of what happens from the time you get the word that Stephen had a new book that he wanted to publish and up to its release date and is it a lot different planning for a new Stephen King book compared to other new books? Susan Moldow: Although we go through fundamentally the same steps, it is quite different to publish a new book by Stephen King from other titles on the list. Usually it’s both more efficient and more fun because Stephen King has been through the process more often than most other authors and so he knows how to maximize his contribution. Stephen King is our full partner in his book’s publications. There is nothing we do—from the jacket art, to the typeface of the text, to the music for the TV commercial—that isn’t run past him for his approval. And there are very few things that aren’t improved by his participation, because he is wicked smart and also because he has such good instincts about what his readers want and where the culture is going. The best part about publishing Stephen King is that he challenges us to keep it fresh. It is really important that our marketing campaign match the contents of the book. So for Just After Sunset, a collection of mostly previously published short stories, we did that by joining forces with Marvel (who have many comic book and graphic novel projects with Stephen King) on making a multipart digital series out of N. the one story in the collection that had not been previously published and announcing it at ComicCon to build awareness for the book. We knew Stephen King could do only one charity appearance to promote the book at the time of publication so we thought it would be exciting to build awareness with an online graphic dramatization of one story leading up to publication. For Under the Dome, on the other hand, we knew from the beginning because of his commitment to the book and because of its size, that Stephen King was willing to make a number of personal appearances and do extensive national media. We also knew that we had a major work that would get major review coverage. And finally, we knew we had a book that contained multitudes so we concentrated on producing unique jacket art that suggested how rich the reading experience was. Then we had fun slowly revealing the components of the jacket and making an interactive version where fans could go under the dome. Because the concept of the jacket derived so completely from the book, it also spurred an amazing TV commercial that is literally like a thirty second movie. Publication day is tomorrow so the rest is yet to come! 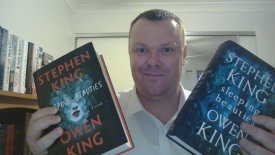 Lilja: So, what’s up next for you when it comes to Stephen King and can you tell us something about it? Susan Moldow: Stephen King is always at work on various projects in various media and at various stages of development. Ghost Brothers, the musical play collaboration he and John Mellencamp have been working on for almost a decade, is nearing completion and will break new ground in both form and content. That should happen in 2010. And he’s got a new graphic vampire novel project that he’s part of coming from DC Comics next year. As for books, we’ll just have to wait and see. Lilja: Thank you so much for taking the time to speak to me. It was a lot of fun!